The liver is the largest organ in the human body. It performs many vital functions. Any disease of the liver can disrupt important processes in the body. Here are some ways to identify symptoms that may indicate you are having problems with normal liver function. A visible indication of liver problems is discoloration of the skin. Any yellowing of the skin or eyes is called jaundice. The skin and eyes take on a yellow appearance. The urine also is affected and the color is noticeably darker than when the liver was functioning normally. Loss of appetite can be an underlying symptom of failing liver function. Usually a decrease in liver function is preceded by appetite loss and continues on into weight loss in sufferers. In many of these cases the patient becomes anemic and has bouts of nausea and possibly vomiting. Check for changes in the color of stool. Changes can include a lightening in the color of bowel movements. 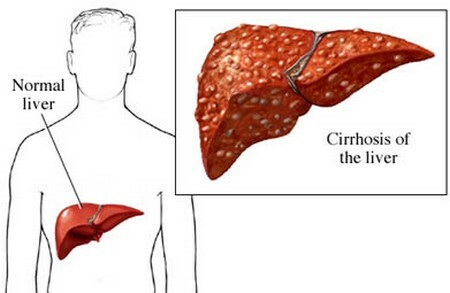 The beginning stages of liver disorder these symptoms occur. A person who is suffering from liver disorder may complain of other diseases like irregular bowel movements and also may be diagnosed with irritable bowel syndrome. Another physical manifestation of liver malfunction can appear as abdomen distention. Patients experience a swelling under the right side of the body under the rib cage. This swelling or distention has other side effects. Distention can put pressure on the diaphram and breathing a very difficult task. The shape and appearance of the fingernails can be indicative of liver problems. If the fingernails appear to be stark white and are curved then there may be a liver problem. Unusual bleeding may also be a warning sign. If you notice that there are unexplained nose bleeds and bruising then that could be a sign. Patients with failed liver function bruise very easily due to protein deficiency. Polydipsia is excessive thirst and can occur with any liver disease. This is a clear sign that there may be something wrong. Polyuria is frequent urination. If your bathroom urges increase and you are having several other symptoms combined with this one then you should be scheduled for testing that will diagnose whether you have decreased liver function. Mood swings and unexplained headaches are symptoms of liver disease. A patient may experience dizziness, spasms, irritability, and even some form of depression. If you are having any of the above isolated symptoms or several in combination you should schedule an appointment with your family doctor. Make note in detail of your symptoms. If you have to keep a journal then do so. Tell your doctor of all the symptoms you’re experiencing so a correct diagnosis can be made and treatment developed.